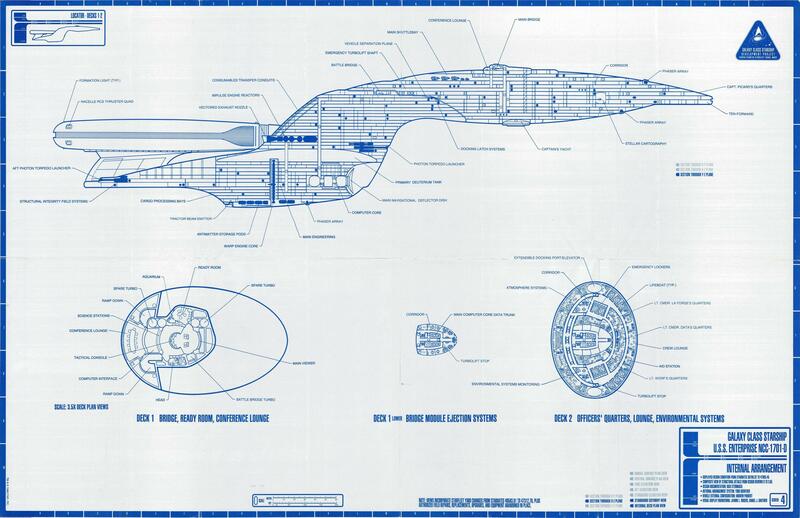 I know that it's a weird question, but I haven't seen a single bathroom on the Enterprise, not even on blueprints. The need to excrete waste matter was not genetically engineered out of humans (and other Federation member species) by the 23rd century. 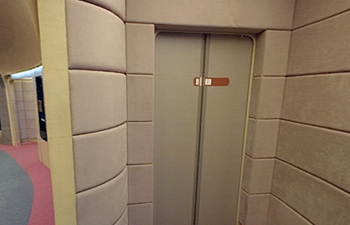 There are next to no explicit references in the shows, though the Enterprise-D has a door labelled "HEAD" on the Bridge, and there were verbal references in Voyager to such rooms. In DS9, Bashir stated that it was "best not to think too much" about how waste extraction worked. Rom worked on the station's waste extraction facilities more than once. especially in Star Trek V: The Final Frontier. 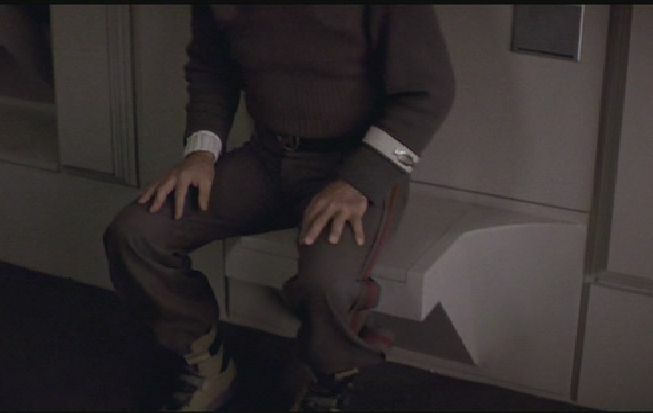 There is a whole separate toilet entry in Memory Alpha however the toilet in the brig in Star Trek V remains as far as I know, the only visible representation of a potty on the series. This was addressed in my favourite Star Trek: Enterprise episode, Breaking The Ice. The chief engineer of the Enterprise is asked by some Earth schoolchildren how the toilets on the Enterprise work. He tells them that all biological waste on the ship is recycled into other materials and used to make items such as replacement uniform boots. 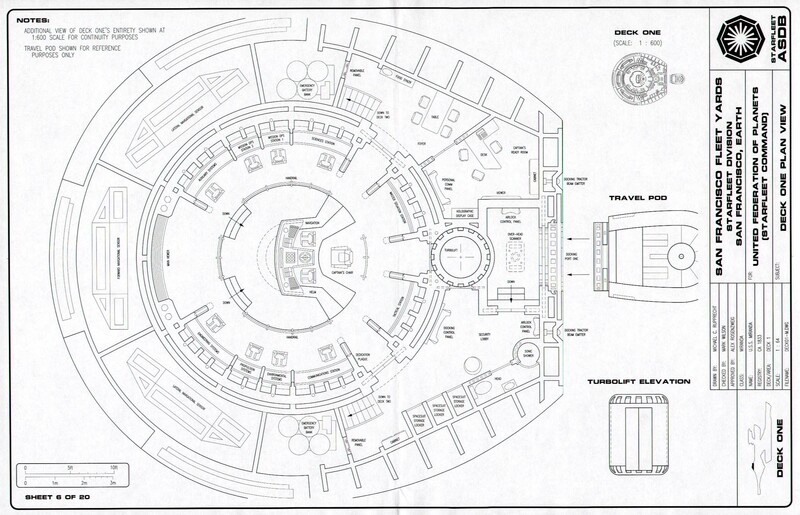 Of course Starships have toilets, and blueprints explicitly show and detail them. 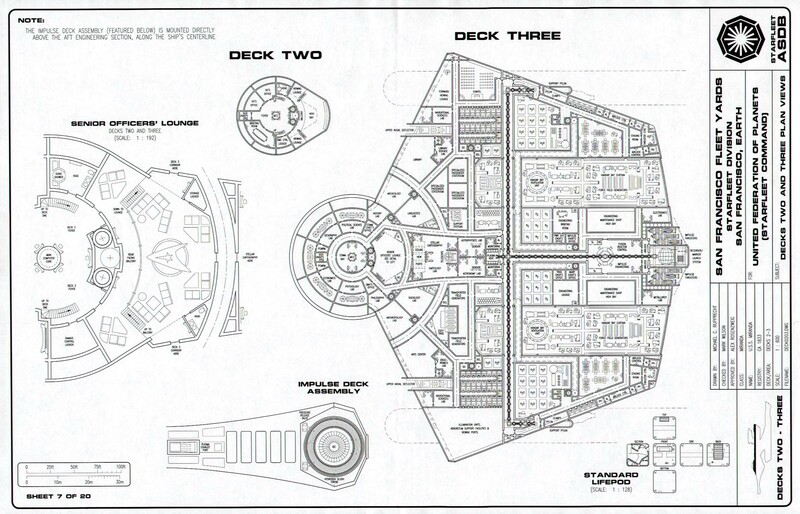 The blueprints from Rick Sternback display toilets on various decks, here is a sample of Decks 1 (the Bridge) and 2. You can see a "head" on Deck 1, and on the Officers' quarters on Deck 2. These are just some examples. More blueprints can be seen at Cygnus X-1. Jonathan Frakes hosted a Star Trek top 10 shows at the end of ST:TNG, and said that the Enterprise had only one bathroom - and he pointed to a schematic screen of the ship, and to the room. He wasn't joking. That was the only bathroom identified on the ship. I don't recall if it was the bridge area or not. Did the Enterprise have public/common restrooms? 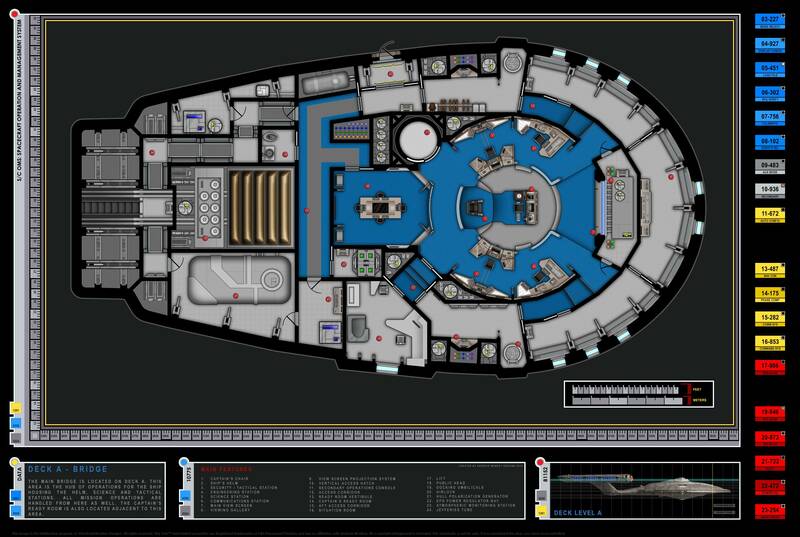 Where does the second door in Captain Janeway's 'Ready Room' lead? Has Picard ever said “I have to go, Number One”? Why were they not allowed to use this seat on the Enterprise while in a spacedock? Are there bathrooms on Voyager? How unique are the adventures of the Enterprise within Starfleet? What, if any, locking mechanism do the doors have on the Enterprise? Why is the Enterprise XCV 330 not on the wall in Archer's ready room? Was the “Enterprise” Enterprise ever mentioned in Star Trek TOS? Was the corridor between the Enterprise-D's bridge and the conference room ever shown?